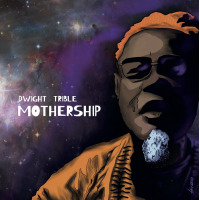 Having worked with the likes of the Pharoah Sanders Quartet and Kamasi Washington the musical fit between Los Angeles native Dwight Trible and Manchester's Gondwana records should be self- evident. This album was conceived as a combination of joint favourites and spiritual jazz classics chosen by Trible and Gondwana label boss Matthew Halsall, after a couple of chance festival encounters and live guest spots. The band includes not only Halsall's own beautiful trumpet playing, but also several of Halsall's trusted musical fellow travellers from the memorable Gondwana Orchestra albums of recent years such as Taz Modi on piano, Rachel Gladwin on harp and the near ever-present Gavin Barras on bass. While these musicians' presence means that the Gondwana "house sound" is on point there is no getting away from the fact that an entirely vocal album represents something of a departure for the label. Why the collaboration works is down to the common ground in the spirit of love and humility expressed by both Trible's vocals and in the way that Gondwana have approached their music over the last decade or so. At a time when the UK has experienced multiple terrorist outrages, including the deplorable attack on children at the Ariane Grande concert in Halsall's home city, there is a resonance to these messages of peace and pleas for understanding that feels timely. It is also true to say that there has been a growing vocal element in Halsall's music in recent years, so while the album does represent a shift, it is not incompatible with past glories. For example Halsall's last album, 2015's "Into Forever," included several vocal tracks split between the vocals of Josephine Oniyama and Bryony Jarman-Pinto in an enjoyable, thoughtful, soulful jazz mix. The dominant feature of this album though is the Trible voice -an attractive mixture of Leon Thomas in his work with Pharoah Sanders or early Flying Dutchman solo era, foregoing the yodelling and adding, perhaps, a touch more warm Gregory Porter baritone. It's a voice to luxuriate in, two parts as if receiving visions, one part compassionate and emotional, as it weaves through the heartfelt collection of standards and covers. The visionary side to the Trible instrument is like a well spiced meal -giving an edge to and making fresh the largely familiar melodies, preventing them from sliding into easy listening, yet allowing the warmth and humanity to come through and linger in the memory . The band are excellent throughout -take Halsall's tender solo on opener "What the World Needs Now is Love," the near luminous Chet Baker on "Shipbuilding" quality he brings to "Dear Lord," or the simple beauty of his solo on "Black is the Colour of My True Love's Hair" where it complements the restless ripples of tempo in Modi's well-judged piano. Modi too excels, coming close to scene stealing with his muscular piano riff workout on "Feeling Good" and the light breezy touch he shows on "Heaven and Hell." While it is true that the first half of the album is slightly stronger melodically, the overall feel is of a coherence that takes the listener to a reflective, positive, place. As such it may be that this is music that would be best experienced live, where the distractions from everyday life are minimised, but the ability to influence mood is undeniably the mark of a quality record. Because this is a Gondwana release we can also take it as read that the attention to detail in terms of recording quality and mastering is exemplary, while Daniel Halsall has excelled himself again with the sleeve art -always an important part in giving a great label an identity. Any record collector will tell you that it is only the truly great labels where you can trust their taste and creative judgments without question -surely Gondwana have now reached that status. Unquestionably recommended. Track Listing: What the World Needs Now is Love; Tryin' Times; I Love Paris; Feeling Good; Dear Lord; Heaven & Hell; Black is the Colour of My True Love's Hair; Deep River. 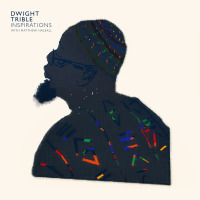 Personnel: Dwight Trible: vocals; Matthew Halsall: trumpet; Taz Modi: piano; Gavin Barras: bass; Jon Scott: drums; Luke Flowers: drums (track 3); Rachel Gladwin: harp.